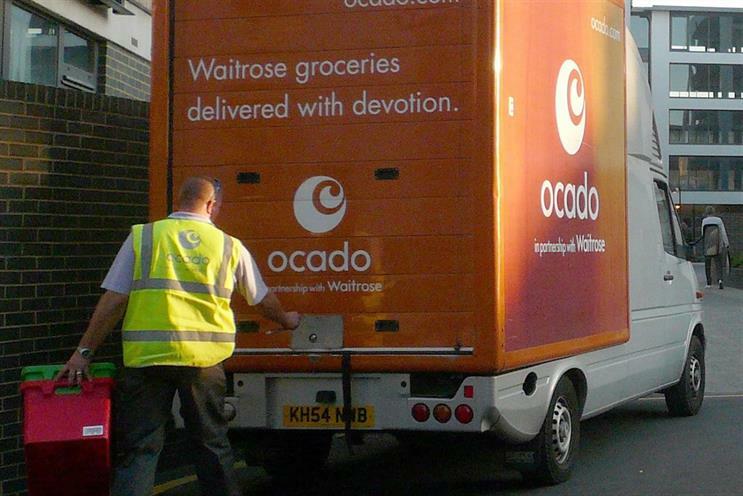 Ocado is to appoint OMD UK for its estimated £10m account following a competitive pitch. The online grocer is tipped to expand into TV advertising as it battles supermarkets and digital rivals such as Amazon, which has bought Whole Foods. Ocado declined to comment on its advertising plans but in a sign that it is ramping up its marketing efforts, it appointed Now as its creative agency last year. The FTSE-250 company has said it increased marketing spend, excluding vouchers, by 38% to £6.1m in the first half of 2017 from £4.4m in the same period a year ago. The retailer spent £11.7m on marketing costs in 2016. It is thought an in-house team handles its internet marketing. Ocado has previously said one of its key objectives is to "strengthen our brand", telling shareholders at its half-year results that it has been building "value and awareness" for its retail brands Ocado, Fetch, Sizzle and Fabled "through targeted marketing activity". It has also reduced some "multi-buy" promotions. Group revenues have continued to rise, climbing by about 14% in its most recent trading statement, but the average order size has dropped by 1% to £106.25. Barclays after a competitive pitch. Ocado used MediaSense to conduct the media review.